Choose your anime series. Read character profiles, updates, fan fictions and other contents. Hunter X Hunter is a Japanese manga written and illustrated by Yoshihiro Togashi. The first volumes of the manga were released on 1998 and it became a hit anime series in 1999. The anime series went into a long hiatus after the three OVAs were aired on 2001. 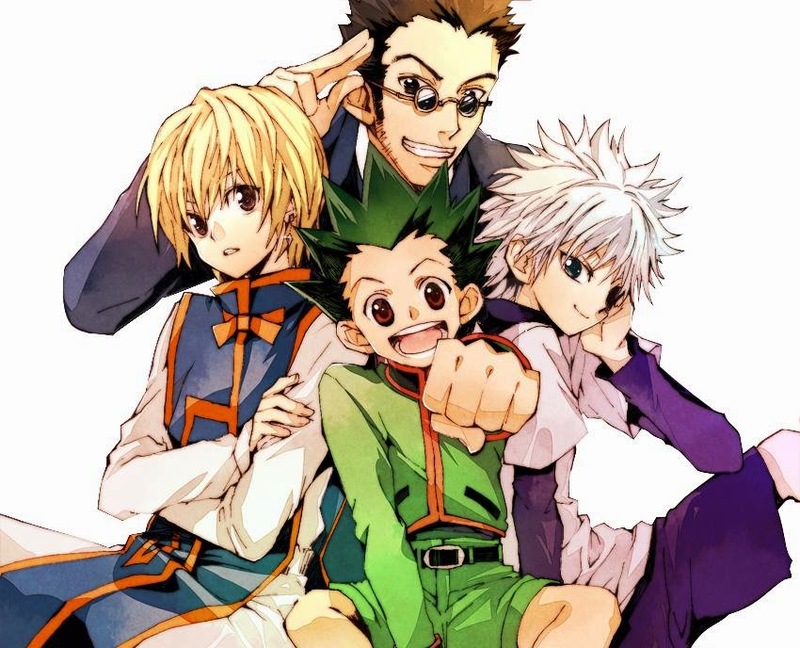 It was on July 2011 when a new adaptation of the Hunter X Hunter anime series was announced. The series was originally aired on Sundays but it was changed to Tuesday nights from October 8, 2013 onwards. The story revolves around a twelve-year old boy named Gon Freecs. After discovering that his father is alive and fulfilling the conditions of his Aunt Mito, the boy departs to pursue his dreams of finding and meeting his father Ging Freecs, who became a world-renowned Hunter. Gon aims to pass the brutal Hunter Examination, grow stronger and eventually meet his father. As he follow the track of his father, Gon meets different kinds of Hunters, great friends, dangerous foes, encounters the paranormal and continually passes through intense kinds of hardship.